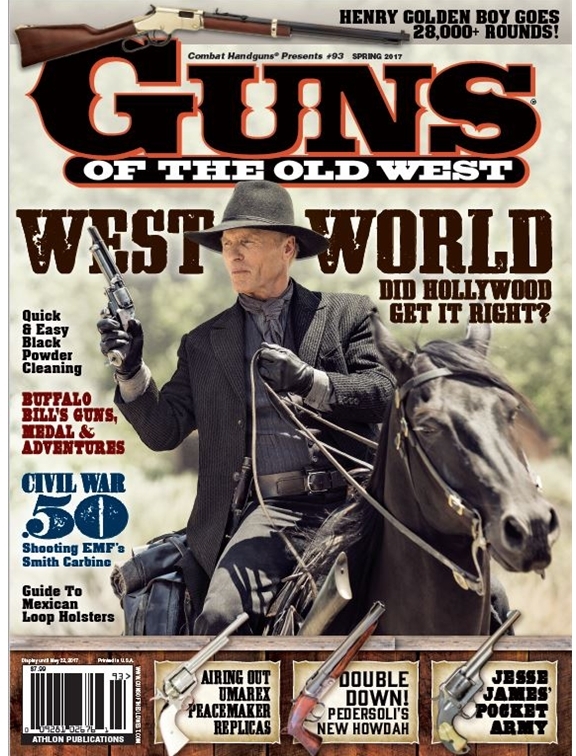 Our Products: 1873 Great Western II Revolvers > "Bat Masterson"
Great Western II "Bat Masterson"
If you are looking for a revolver like the one Gene Barry used in Bat Masterson, EMF Company is now offering a "Bat Masterson" version of its Great Western II built by Pietta in Italy. 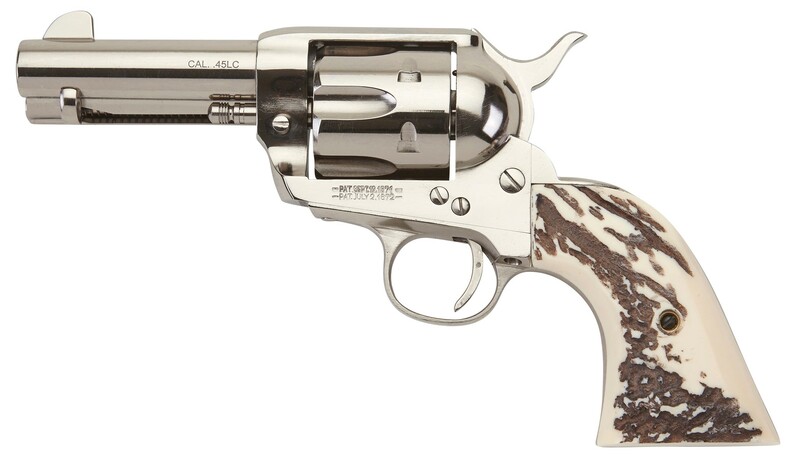 The revolver comes with simulated stag grips, a 3 ½" barrel, a full-length ejector and a bright nickel finish with "W.B. MASTERSON" engraved on the backstrap. Bat Masterson had his name engraved on the backstraps of his guns (below), and Pietta copied this detail for the EMF gun.